Happy Anniversary to me. It's my 7th anniversary doing TGN. It all started back with a Plastic Warpwolf kit from Privateer Press. So much has changed since then. But I really just wanted to say thank you to all the readers out there. This job sometimes gets tough, but you all make it worth it. Anyway, let's sink our teeth into some bite-sized gaming stories, shall we? 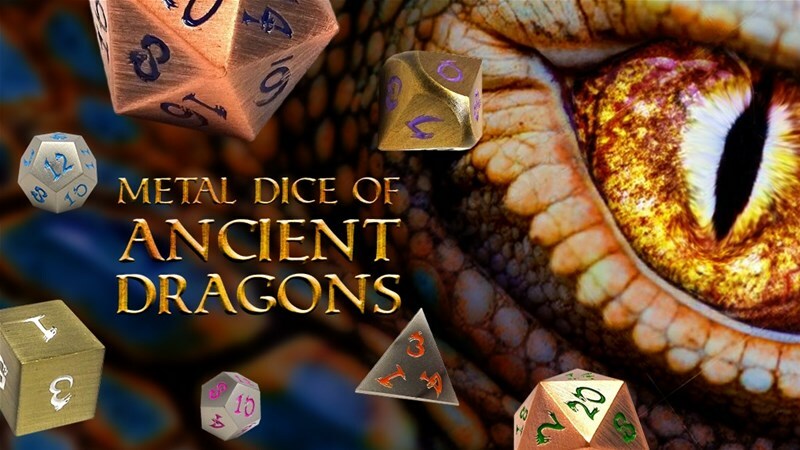 Today on the platter we have: Emerald Black Magic Set Releasing Tonight From Kraken Dice, Metal Dice of Ancient Dragons Up On Kickstarter, Randice: Dungeons And Dragons Character Generator Dice Set, and Dice Aurora Custom Dice Sets Up On Kickstarter. 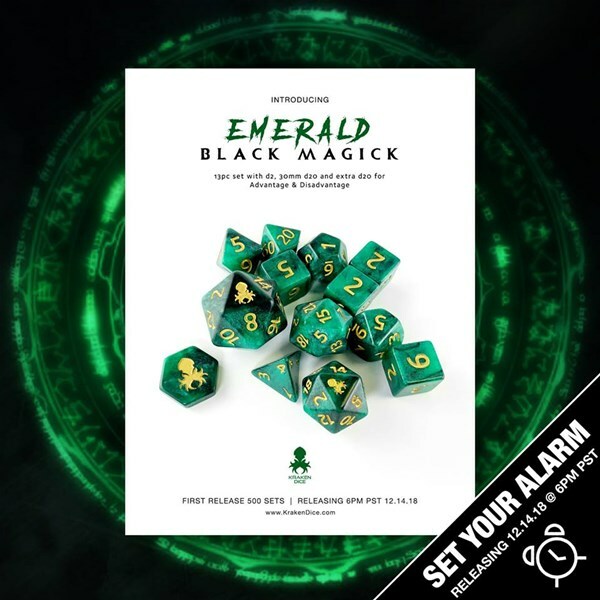 Just in case you needed more magick, or green in your holiday season... Kraken Dice is proud to announce Emerald. Part of our new Black Magick line. Releases Friday 12/14/18 at 6pm PST. Also All Factory Rescues are buy 4 and get your 5th FREE! The Kickstarter community has helped Easy Roller Dice Company bring some fantastic new metal dice sets to the marketplace. Both our Gun Metal and Rose Gold Collections were very successful on Kickstarter, and we can't wait to see how our newest project is received. 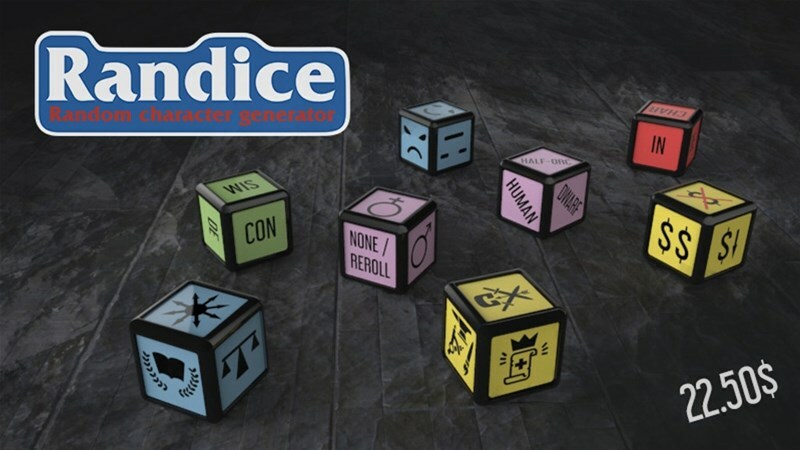 A dice set to end the problem of predictable, boring characters and npcs! No more overthinking, help us to stop player's Mary Sues and Gary Stus around the world! Quick and easy! 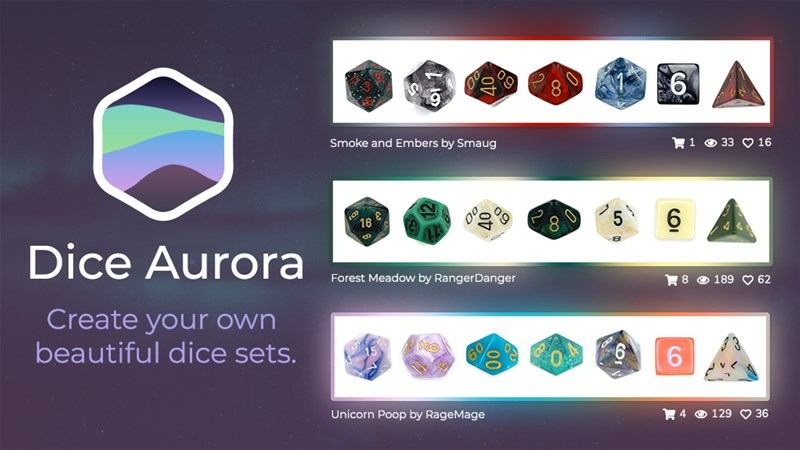 Dice Aurora is a web app that allows you to create your own unique dice sets by arranging different styles into unique auroras of dice. Starting a new character? Create a dice aurora with a color palette that fits your role or personality. Need a unique gift for a party member? Build an aurora that you think represents them best or let them jump into the tool and create their own.